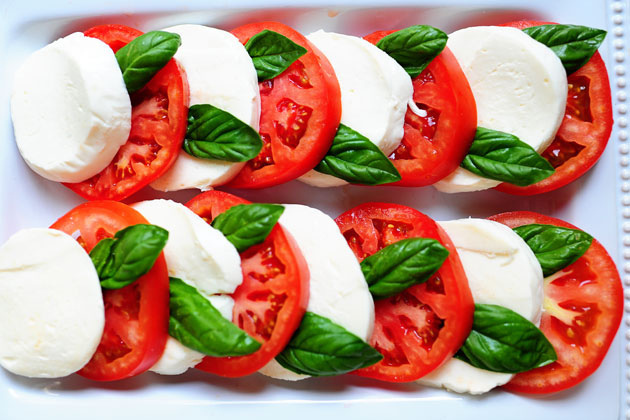 On each of 4 salad plates, arrange 2 mozzarella slices, 4 tomato slices, and 6 basil leaves. Drizzle each with 1 tablespoon dressing. Sprinkle each with ¼ teaspoon salt and ¼ teaspoon pepper. Garnish with basil sprigs, if desired. End.